Reynolds Knox Lytle was born on 17 February 1819 at Stark Co., Ohio.1 He was the son of Robert Lytle and Hannah Knox.1 Reynolds Knox Lytle married Martha L. Major on 10 November 1846 at St. Mary's, Auglaize Co., Ohio.1 Reynolds Knox Lytle married Mary Sprague on 17 May 1866 at Wayne Co., Ohio.1 Reynolds Knox Lytle married Isabelle R. Harn, daughter of Denton Harn and Rachel Ruth Pickett, on 10 May 1876 at Shelby Co., Ohio.2 Reynolds Knox Lytle died on 9 November 1890 at Ohio at age 71. He was buried at Westside Cemetery, Delphos, Van Wert Co., Ohio. Marriage Record had last name at LYTLE. [S1918] M. A. Leeson, History of Allen County, Ohio Containing a History of the County, Its Townships, Towns, Villages, Schools, Churches, Industries, Etc., Portraits of Early Settlers and Prominent Men, Biographies, History of the Northwest Territory, History of Ohio, Statistical and Miscellaneous Matter, Etc., Etc ... (Chicago, Illinois: Warner, Beers & Co.,, 1885), page 648. Hereinafter cited as History of Allen County, Ohio. [S272] Unknown author, Marriage Record from Shelby County, Ohio (n.p. : n.pub., unknown publish date). Robert C. Arbuckle married Lethe Ann Harn, daughter of Denton Harn and Rachel Ruth Pickett, at Maryland.2 Robert C. Arbuckle was born in 1802 at Pennsylvania; info from 1850 Ohio Census. Dr. Washington Goodwin Kishler was born on 8 October 1824 at Perry Co., Ohio.1 He was the son of George Kishler and (?) Goodwin.1 Dr. Washington Goodwin Kishler was born at Perry Co., Ohio.2 He married Louisa M. Harn, daughter of Denton Harn and Rachel Ruth Pickett, on 25 May 1852 at Auglaize Co., Ohio.3,4 Dr. Washington Goodwin Kishler married Henrietta Hollingsworth, daughter of John Edward Hollingsworth and Rachel Ruth Harn, on 30 January 1908 at St. Marys, Auglaize Co., Ohio.5 Dr. Washington Goodwin Kishler died on 11 June 1918 at St. Marys, Auglaize Co., Ohio, at age 93.6 He was buried at Elm Grove Cemetery, St. Marys, Auglaize Co., Ohio. Washington G. Kishler, M.D., of St. Mary's, who has recently retired from an extensive and lucrative practice of more than forty years' duration, has had a wide experience in his profession, in which he has always maintained a high standing, and his name is familiar in many a household in Auglaize County as the loved physician who is honored by the people to whose ills he so long and tenderly ministered. The Doctor comes of the sterling pioneer stock of Ohio, and was born in Perry County October 8, 1824. His father, George Kishler, was born in Mifflin County, Pa., in 1798, and was a son of Frederick Kishler, who was a farmer of that State and was of Pennsylvania-German descent. In 1810, the later removed with his family to Ohio and became one of the pioneers of Perry County, where he died at the ripe old age of nearly ninety years. He reared four sons and three daughters, all of whom are dead. The father of our subject was the second son of the family. He was reared to the life of a farmer, and at the age of twenty-two married and settled in life, taking a Miss Goodwin as his wife. She died at the birth of our subject, and her husband was twice married afterward. He had nine children by his third wife, of whom eight are living. Three of his sons fought nobly for the Union during the late war, and his son William gave up his life for his country at Stony River. He was a brave and efficient soldier, who bore a high reputation as a man and Kishler Post No. 83, St. Mary's, was named in his honor. We may mention in this connection that our subject was very desirous to enter the army when the war broke out, but the people here protested so strongly that he gave up the idea, and did his duty manfully in the home field. After his marriage, the father of our subject became the manager of a country store, and subsequently was placed in charge of another store, and was made partner in the business. A few years later, he purchased the store, and for thirty years was successful7 engaged in carrying it on, becoming one of the leading merchants of Perry County, where he was well known. He was prominent in its public life and in training times was Major of a regiment of State militia. He was Justice of the Peace of Jackson Township, Perry County, was Postmaster many years, and at one time was County Commissioner. He affiliated with the Methodists in his last days. In the latter part of his life, he sold his farm and store, and removed to New Lexington, where he died at a venerable age in 1880. The subject of this biography was cared for by an aunt in early childhood until his father married a second time. His educational advantages during his boyhood were limited to about three months' attendance in a little country school that was fully three miles from his home, and was held in a typical log schoolhouse of pioneer times. At the age of thirteen, he was sent to Zanesville, to the McIntyre High School, of which he was a pupil the ensuing three years. After his return home, he assisted his father in his store two years, and at the age of eighteen began to prepare himself for the profession which he was ambitious to enter, by reading medicine with Dr. Mason, of New Lexington, a prominent and widely known physician at that time, with whom he studied four years. Under the instruction of that learned man, our subject was well fitted for the responsibilities of the life that lay before him, when he opened an office at Kenton, in Hardin County, and took up his calling in the month of June, 1845. The path before him was not all strew with roses, however, as hem as soon afflicted with chills, a disease he has never encountered among the breezy hills of his native county, and he suffered from them for some months. In 1847, Dr. Kishler enlisted to take part in the Mexican War, joining the reorganized Second Ohio Regiment, of which he was made Steward. He was subsequently taken sick, and was transferred to the general hospital, in which he was confined six months. He was discharged and arrived home in February, 1848, and in the month of May, that year, he came to this county, and for a year was established at Wapakoneta. Coming thence to St. Mary's, he has made this his home ever since, and has practiced his profession in this and adjoining counties until his retirement in March, 1892. When he came here, St. Mary's was a small but lively village, being quite a commercial and milling centre on the new canal, and people came here from the surrounding country for a distance of many files to mill, and the Doctor soon became widely known and very popular, not only on account of his pleasant social qualities, but for his success in contending with the prevailing diseases, which were principally chills, bilious and intermittent fevers, etc. He visited his patients on horseback for many years, often riding long distances over rough roads or through forest paths, and many a time he has seen deer and other wild animals not now found in this part of the country. During his long practice of forty-five years, he has had many varied experiences, and has had to deal with many strange and difficult cases. The young doctor of to-day can have no idea what the physicians of the past had to go through with in pioneer times. Our subject has been a member of the Northwestern Ohio Medical Society for twenty-five years, has belonged to the Independent Order of Odd Fellows since 1845, and to the Masonic fraternity since 1848. Politically, he is a Democrat, but not a politician, and never would accept an office. Religiously, he is a member of the Methodist Episcopal Church, and is a Trustee thereof. He has been a Pension Examiner for St. Mary's and Auglaize County since 1862. The Doctor has been fortunate in his investments, and is one of the wealthy men of the county. He has four hundred and seventy acres of valuable land in the county, all within four and one-half miles of St. Mary's, and three hundred and seventy acres of it on the oil and gas region. There are now seven wells on his land producing oil, from which he derives a handsome income, and he is also interested in some additions to St. Mary's. [S1849] William Frank Neujahr, "EMAIL from Bill Neujahr 08Jan2008," e-mail message from e-mail address (n/a) to Steven Harn Redman, 08 Jan 2008. Hereinafter cited as "EMAIL from Bill Neujahr 08Jan2008." He lived in 1932 at Red Wing, Goodhue Co., Minnesota. He lived in January 1941 at 4318 Garrott, Houston, Harris Co., Texas.1 The cause of death was Heart Attack. Obituary of father, says son, Dr. Barton G. lives in Texas. Following obituary from the Red Wing Daily Republican Eagle Newspaper, page 6, column 2, 15Mar1941 (Saturday). Word has been received by friends here of the death of Dr. B.T. Perkins of Houston, Tex., a former resident of Red Wing and a brother of the late M.T. Perkins of Red Wing. According to belated information, he died suddenly on February 26 of a heart attack while on an automobile ride. Dr. Perkins spent his boyhood in this community. For many years his family resided in a home on Fourth street, which was later remodeled into St. John's hospital and which still constitutes the main part of the institution. For many years he successfully practiced his profession of dentistry in the Texas city. He is survived by a son and a daughter, Mrs. Perkins died a number of years ago. Census 1870 Red Wing, Goodhue Co., Minnesota, pg 145, as 8-months old. Census 1875 Featherstone, Goodhue Co., Minnesota, pg 287, as 5 years. Census 11 June 1880 Featherstone, Goodhue Co., Minnesota, pg 13, "Berton" listed as 10 years old. Ancestry.com. Texas, Death Certificates, 1903–1982 (database on-line). Provo, UT, USA: Ancestry.com Operations, Inc., 2013. Texas Department of State Health Services. Texas Death Certificates, 1903–1982. iArchives, Orem, Utah.. Hereinafter cited as Texas, Death Certificates, 1903–1982. [S280] Unknown household, census, Red Wing, Goodhue Co., Minnesota, unknown record info, Family History Library: 35 North West Temple St., Salt Lake City, Salt Lake Co., Utah. [S1668] B.T. Perkins, 19 Apr 1910 census, unknown repository address, unknown repository. [S281] Unknown article title, OBITUARY: Red Wing Daily Republican Eagle, 15Mar1941, 6:2, Red Wing, Minnesota, 6. Hereinafter cited as RWDR. There is a Goodhue County Birth Record for a female Perkins, born 02Dec1898 in Book 3, page 73. The mother listed as Daisy Elliot, 22 years old, born in Wisconsin. The father listed as Frank E. Perkins, 24 years old, born in Minnesota. This Frank E. Perkins could possibly be the son of Hartson E. Perkins and Violet. The book, The Sea Wing Disaster, 1990, by Frederick L. Johnson, page 94, lists Frank Perkins from Red Wing as a survivor of the Sea Wing in July of 1890. Pg 287, 2 years old. He lived in 1894 at Red Wing, Goodhue Co., Minnesota. Census 1885 Red Wing, Goodhue Co., Minnesota, sheet 122, as 12 years. Census 10 January 1920 Ellsworth, Pierce Co., Wisconsin, listed as 45 years old and born in Minnesota, enumerated with wife Daisy and daughter Vera. [S282] Dr. Frank Everal Perkins entry, birth, Goodhue County Courthouse, Red Wing, Goodhue Co., Minnesota. Dr. Elmer Arthur Perkins D.D.S. He lived in 1894 at Red Wing, Goodhue Co., Minnesota. He lived in 1903 at New London, Waupaca Co., Wisconsin. Elmer Arthur Perkins is listed on a WWI draft registration card; lists born 02Mar1875. Following from the Red Wing Daily Republican Eagle newspaper page 8, col 5, 18 Jan 1945. Dr. Elmer Perkins, former resident of Red Wing, dies. Word has been received by relatives here of the recent death of Dr. Elmer Arthur Perkins, 70-year old former Red Wing resident, who died in Houston, Tex., following a cerebral hemorrhage on December 12. Funeral services were held in Houston. Dr. Perkins, brother of the late Marshall T. Perkins of this city, was a native of Red Wing where he was active in music organization. He sang with the Houston Kiwanis Glee club which later, under the direction of the late Ellison Van Hosse, became a widely known musical aggregation, presenting concerts in many, sections of the country. Surviving are his wife, Mrs. Jesse Pease Perkins, who has been associated for many years with Mrs. Edna Saunders in the Houston entertainment and concert field; a daughter, Mrs. Julia P. Taylor; two grandchildren and a great grandchild, all of Houston. The cause of death was Cerebral Hemorrhage. In Birth Record, mother's name spelled Viola. Census May 1875 Featherstone, Goodhue Co., Minnesota, pg 287, 0 years old. Census 1885 Red Wing, Goodhue Co., Minnesota, sheet 122, as 10 years. [S283] Dr. Elmer Arthur Perkins D.D.S. entry, birth, Goodhue County Courthouse, Red Wing, Goodhue Co., Minnesota. [S2277] Dr. Elmer Arthur Perkins D.D.S., death 53971 (13 Dec 1945), unknown repository, unknown repository address. Hereinafter cited as Death certificate Dr. Elmer Arthur Perkins. [S284] Unknown article title, OBITUARY: Red Wing Daily Republican Eagle, 18Jan1946, 8:5, Red Wing, Minnesota, 8. Hereinafter cited as RWDR. [S2276] Find a Grave Inc., Find a Grave, database and images (: accessed Mar 2014), Elmer A Perkins (1875-1945) gravestone photograph, memorial no. 85099934, Glenwood Cemetery, Houston, Harris Co., Texas, photograph © Dave ane Lee Burns, 2014. Following from Red Wing Daily Republican newspaper, page 3 column 2, 02Mar1903 (Monday). The marriage of Miss Mabel Perkins and Charles L. Jones will take place at the home of the bride's mother, Mrs. V. Perkins, on West Fourth street. next Thursday evening at 6 o'clock. Following from Red Wing Daily Republican newspaper, page 3 column 3, 05Mar1903 (Thursday). Miss Mabel B. Perkins and Charles L. Jones were united in marriage at 5 o'clock this afternoon at the home of the bride's mother, Mrs. V.E. Perkins, on West Fourth street. Rev. W.C. Rice of Faribault, performed the ceremony 'midst a profusion of roses and carnations. The other decorations were smilax and ferns. The couple was unattended. The bride's gown was blue elamine over silk. A wedding supper was served at which were present only immediate relatives. Mrs. A.M. Winn of Chicago and Mrs. H.E. Akenson served the guests. Mr. and Mrs. Jones will depart this evening for Griggsville, Ill., Mr. Jones' old home. From there they will take a trip through the eastern states and in about a month return to Red Wing to make their home. Mr. Jones is connected with Armour & Co., and will hereafter have his headquarters in St. Paul. Dr. Elmer Perkins of New London, Wis., attended the wedding. Mrs. Mabel V. Jones, a former resident of Red Wing, daughter of Mrs. T.E. Perkins and sister of M.T. Perkins of this city, died Saturday evening at 9:10 o'clock at her home, 4420 York Avenue, Co., Minneapolis. The end came following a lingering illness. Mrs. Jones lived in Featherstone for many years and later in Minneapolis. She was a resident of Red Wing for some time up to a few years ago when she removed to Minneapolis. Six children, all at home, her mother Mrs. T.E. Perkins, her brother M.T. 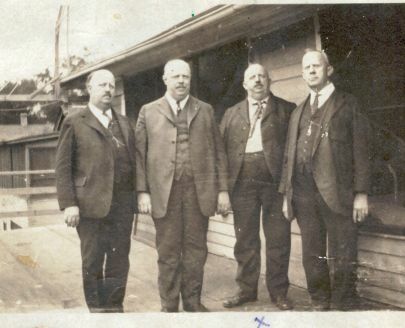 Perkins, Red Wing and two other brothers, Dr. B.T. Perkins, and Dr. E.A. Perkins of Houston, Texas, are left to mourn her loss. The funeral will be held tomorrow afternoon at 1 o'clock from her home in Minneapolis and the body will be brought her for burial at Oakwood cemetery. Census 1885 Red Wing, Goodhue Co., Minnesota, sheet 122, as 6 years old. Census 1895 Red Wing, Goodhue Co., Minnesota, 4th Ward, as 16 years old. [S287] Unknown article title, OBITUARY: Red Wing Daily Republican, 20Jul1925, pg 5 col 5, Red Wing, Minnesota, 20 Jul 1925, 5. Hereinafter cited as RWDR. Ada A. Perkins was born on 24 October 1882 at Red Wing, Goodhue Co., Minnesota.1 She was the daughter of Hartson Ellsworth Perkins and Violet P. Ellsworth. Ada A. Perkins died on 10 October 1892 at Red Wing, Goodhue Co., Minnesota, at age 9.2 She was buried at Oakwood Cemetery, Red Wing, Goodhue Co., Minnesota. Birth record lists child as female Perkins, father as H.E. Perkins. The cause of death was Diphtheria. Following from Red Wing Daily Republican Newspaper 10Oct1892, pg 3, column 2. Census 1885 Red Wing, Goodhue Co., Minnesota, sheet 122, as 2 years old. Census 1895 Red Wing, Goodhue Co., Minnesota, Red Wing 1st Ward, sheet 474. [S289] Ada A. Perkins entry, birth, Goodhue County Courthouse, Red Wing, Goodhue Co., Minnesota. [S288] Unknown article title, OBITUARY: Red Wing Daily Republican, 10Oct1892, 3:2, Red Wing, Minnesota, 10 Oct 1892, 3. Hereinafter cited as RWDR. Fannie W. Perkins was born circa 1895 at Minnesota.1 She was the daughter of Hartson Ellsworth Perkins and Violet P. Ellsworth. In 1895 Census, unnamed female being 1 month old. Not find Fannie in Goodhue County Birth Records 1894-1896. >>> Need to verify parentage. [S290] Unknown household, census, Red Wing, Goodhue Co., Minnesota, unknown record info, Family History Library: 35 North West Temple St., Salt Lake City, Salt Lake Co., Utah. Doreen Ann Neujahr is the daughter of William Herman Neujahr and Gail Elaine Perkins. Doreen Ann Neujahr married David George Robinson. Following from the Van Wert Daily Bulletin (Van Wert, Ohio) , pg 2, 26 Jan 1929: For 89 years Mrs. Henrietta Kishler, believed to be the oldest living native born citizen of St. Marys, has lived in the same house in that town. She was born in the house in 1840. [S276] B. Esther (Oviedo) Harn, "E.B. Harn Sheets, FHL film 1036595, # 165", Feb 1977 (18921 Knapp St., Northridge, CA 9132433). Hereinafter cited as "E.B. Harn Sheets, FHL film 1036595." [S1715] J. Adger Stewart, Descendants of Valentine Hollingsworth, Sr. (n.p. : J.P. Morton, 1925), pg. 102. Hereinafter cited as Descendants of Valentine Hollingsworth, Sr.
Ellen Dorcas Harn Manuscript. He died while in the army, during the Civil War. [S291] B. Esther (Oviedo) Harn, "E.B. Harn Sheets, FHL film 1036595, # 165,166", Feb 1977 (18921 Knapp St., Northridge, CA 9132433). Hereinafter cited as "E.B. Harn Sheets, FHL film 1036595." [S1550] Isabella P. Hollingsworth, International Genealogical Index (IGI) (35 North West Temple St., Salt Lake City, Salt Lake Co., Utah: Family History Library:). [S1549] D.W. Jay, International Genealogical Index (IGI) (35 North West Temple St., Salt Lake City, Salt Lake Co., Utah: Family History Library:). [S1983] Thomas Elwood Hollingsworth Sr., death 63663, unknown repository, unknown repository address. Hereinafter cited as Death Cert: Thomas Elwood Hollingsworth Sr.
[S292] B. Esther (Oviedo) Harn, "E.B. Harn Sheets, FHL film 1036595, # 165,167", Feb 1977 (18921 Knapp St., Northridge, CA 91324). Hereinafter cited as "E.B. Harn Sheets, FHL film 1036595." [S1548] D.W. Jay, International Genealogical Index (IGI) (35 North West Temple St., Salt Lake City, Salt Lake Co., Utah: Family History Library:). 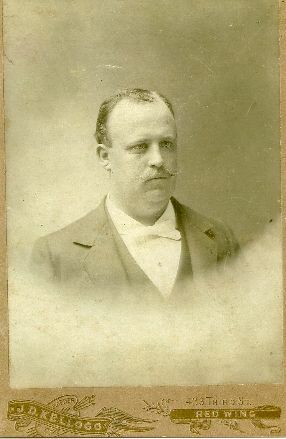 Elanora Coney married Thomas Elwood Hollingsworth Sr., son of John Edward Hollingsworth and Rachel Ruth Harn, on 14 February 1876 at St. Marys, Auglaize Co., Ohio. Her married name was Hollingsworth. Children of Elanora Coney and Thomas Elwood Hollingsworth Sr.
[S293] Paul Bradley PURDY (321), A branch of the Purdy family descending from David and Eliza Ann Purdy with David's line from Francis Purdy of Fairfield 1595-1658, pg 22 (n.p. : n.pub., c1962). Hereinafter cited as The David Purdy Family. He lived in 1973 at Flint, Genesee Co., Michigan. Marion Harris was born on 26 June 1885 at Norwood, Charlevoix Co., Michigan.1 He married Lynn Middleton Purdy, daughter of Charles M. Purdy and Margaret Bradley, on 7 September 1916 at Los Angeles, Los Angeles Co., California. Margaret Purdy was the daughter of Samuel Haskell Purdy and Jane H. Willets. The cause of death was believed died in infancy. [S158] Paul Bradley PURDY (321), A branch of the Purdy family descending from David and Eliza Ann Purdy with David's line from Francis Purdy of Fairfield 1595-1658, pg 9 (n.p. : n.pub., c1962). Hereinafter cited as The David Purdy Family. Died at age of 4-months, 9-days. [S294] Paul Bradley PURDY (321), A branch of the Purdy family descending from David and Eliza Ann Purdy with David's line from Francis Purdy of Fairfield 1595-1658, pg 17 (n.p. : n.pub., c1962). Hereinafter cited as The David Purdy Family. [S295] Lila Sophia Shapton, unknown file number, Social Security Death Index (b- 24Jan1892 d- Mar1978 MI), unknown series (n.p. : n.pub.). Hereinafter cited as SSDI. Emma Purdy was born on 26 January 1862.1 She was the daughter of David Willets Purdy and Frances Mary Rolfe. Emma Purdy died on 3 October 1865 at age 3.1 She was buried at Oakwood Cemetery, Red Wing, Goodhue Co., Minnesota. Following from Red Wing Daily Republican Newspaper, 4:4, 22Jul1919. Mrs. Jennie Perkins, residing at 1004 West Sixth street, passed away at Red Wing Hospital at 1 o'clock this afternoon after a long illness. Death was due to complication of diseases. The deceased was born in Burnside and was fifty years of age. She had resided in Red Wing the past 15 years. Prior to that the family lived on a farm in Wisconsin. One daughter, Miss Genevieve Perkins and two sons, Harry and Bert Perkins, of this city, are left to mourn her loss. Her husband died thirteen years ago. Census 1 June 1900 Hartland, Pierce Co., Minnesota, listed as born in June 1869 in Minnesota having 3 living children. [S297] Jennie W. Purdy entry, SOURCE: Goodhue Co , MN Death Record, Book 6, page 207, line 83, Goodhue County Courthouse, Red Wing, Goodhue Co., Minnesota. [S296] Paul Bradley PURDY (321), A branch of the Purdy family descending from David and Eliza Ann Purdy with David's line from Francis Purdy of Fairfield 1595-1658, pg 13 (n.p. : n.pub., c1962). Hereinafter cited as The David Purdy Family. Samuel Haskell Purdy was a Farmer. His Social Security Number was 471-09-9530. History of Dakota and Goodhue Counties, MN, Vol II, 1910, pg 979-980. S.H. Purdy, who carries on general farming on a place of 170 acres in Burnside township, traces his ancestry back to the founder of the Purdy family, who settled in New York state in 1771. He was born in Goodhue township, this county, January 5, 1873, son on David and Mary F. (Rolfe) Purdy. The father was born in New York state January 16, 1840 and the mother in the same state January 7, 1841. They came west in 1859 and settled first in Goodhue township, where they lived until 1875, when they moved to Burnside township, on a farm now occupied by the subject of this sketch. Mr. and Mrs. David Purdy had four children, Anna (deceased), Jennie, S.H. and W.H. S.H. Purdy attended the common schools and the high school at Red Wing, afterward teaching school two terms. Of this he made a success, but decided that he preferred to make farming his life work. In 1897 he also tried the livery business in Red Wing for a time, but again returned to the farm, where he has since remained. He belongs to the United Workmen and the Foresters and votes the Democratic ticket. Mr. Purdy was married in 1894 to Anna M. Ceder, daughter of Charles and Hannah (Ferrig) Ceder, who settled in this county in 1873, the father being now a retired shoemaker. To Mr. And Mrs. Purdy have been born five children, in the order named: Howard H., David W., Myron C., Dorothy M. and Evelyn A. Following from Red Wing Daily Republican Eagle, page 5 column 4, 26Jul1951 (Thursday). Samuel H. Purdy, 78, 1115 East avenue, died Wednesday afternoon at a local hospital. He had been in failing health for the past two years and seriously ill the past two days. Born on January 5, 1873, in Goodhue, he moved when a child with his parents to Burnside to what is now the A.P. Anderson residence. His marriage to Anna Marie Ceder was an event of September 12, 1893. They moved to Lake City in 1910 and lived there 25 years until 1935 when they moved to Red Wing, where they had since resided. He was employed at the Pioneer garage. Surviving are his wife; two daughters, Mrs. Dorothy M. McLaird of LaCrescent and Mrs. Evelyn H. Schneider of Red Wing; two sons, David W. of Monrovia, Calif., and Myron C. of LaCrosse, Wis; nine grandchildren and one great grandchild. Funeral services will be held at 10:30 a.m. Monday at Christ Episcopal church, of which he was one of the oldest members, with Rev. Monroe Bailie officiating. Internment will be in Oakwood cemetery. The book, The Sea Wing Disaster, 1990, by Frederick L. Johnson, lists Samuel Haskell Purdy from Red Wing as a survivor of the Sea Wing on July 13, 1890, page 12,20,27,76,94. The Sea Wing had 215 persons on board, when the steamer capsized on Lake Pepin, four miles from Lake City. Ninety-eight persons drowned. "Among the more uneasy passengers were Samuel Haskell Purdy and his brother William. Samuel Purdy felt a strong premonition he should not go on the Sea Wing. In fact, he and William had tried earlier to take the train back to Red Wing, despite their lack of funds. After some hesitation the Purdys took up the offer of their friend Martin O'Shaughnessy to lend them some money. They went to the railroad station, only to find the train had already gone. So despite Samuel's reluctance, the two Purdys were on the Sea Wing." After the Sea Wing rolled, Samuel and William were hanging onto the wreckage. "Samuel did not reflect on why he had disregarded his premonition of danger but rather on the horror of what he had just witnessed. Holding tightly to a railing as the Sea Wing rolled, Purdy had seen the terrified faces of those trapped in the cabin." "The Purdy brothers were among the survivors reaching Hotel Lyon (in Lake City) at 11:30 P.M."
"Samuel Haskell Purdy of Red Wing later moved to Lake City. He continued to be so frightened of storms that he could not stay indoors during them; no matter how heavy the rain or strong the wind, he was more comfortable outside." [S299] Samuel Haskell Purdy entry, birth, Goodhue County Courthouse, Red Wing, Goodhue Co., Minnesota. [S300] SOURCE: Goodhue Co , MN, Marriage Records, Vol 13, page 134, Goodhue County Courthouse, Red Wing, Goodhue Co., Minnesota. [S302] Samuel Haskell Purdy entry, SOURCE: Goodhue Co , MN Death Record, Book 8, page 336, line 7, Goodhue County Courthouse, Red Wing, Goodhue Co., Minnesota. [S298] Paul Bradley PURDY (321), A branch of the Purdy family descending from David and Eliza Ann Purdy with David's line from Francis Purdy of Fairfield 1595-1658, pg 13-14 (n.p. : n.pub., c1962). Hereinafter cited as The David Purdy Family. [S301] Unknown article title, OBITUARY: Red Wing Daily Republican Eagle, 26Jul1951, Red Wing, Minnesota, 26 Jul 1951. Hereinafter cited as RWDRE. William and brother Samuel, survived the Sea Wing disaster in 1890. At time of mother's death in 1905, William was living in Sebeka. [S305] William Hopkins Purdy entry, birth, Goodhue County Courthouse, Red Wing, Goodhue Co., Minnesota. [S304] SOURCE: Goodhue Co , MN, Marriage Records, Vol 14, page 548, Goodhue County Courthouse, Red Wing, Goodhue Co., Minnesota. Source Citation: Year: 1940; Census Place: Aumsville, Marion, Oregon; Roll: T627_3373; Page: 2B; Enumeration District: 24-2.